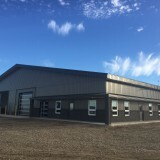 Built through the summer of 2017, this facility consists of 2- 20,000 sq/ft Zipper lock storage buildings connected to a 60’x 180’x 27′ Behlen structural Steel Load out. 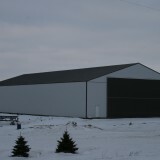 Located near Notre Dame de Lourdes, This Stud-Frame Barn 109’x 240’x 20’H.Consist of 2 scraper alleys, a feed bunk and straw pack. 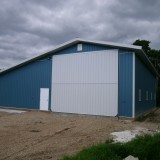 Located in Notre Dame de Lourdes,this Barn consists of an 80′ x 178′ for free stall, feeding and robot milking area. 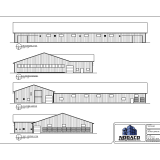 Also attached is a 25′ x 50′ space for the milk house, calf barn and feed distribution area. 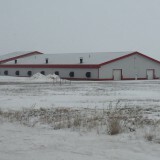 Located in Notre Dame de Lourdes, Manitoba this building is a barn for laying chickens. 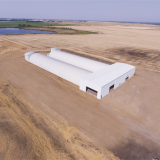 The structure consists of a 32’x 140’barn for the hens, with a 32’x50′ sorting facility attached. 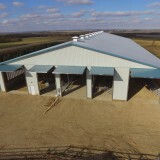 There is also a 16’x 32′ manure storage building separate from the main structure. 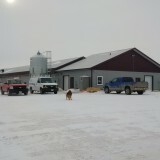 This building is 40’x 60’x 18′ Post frame Farm Shop. 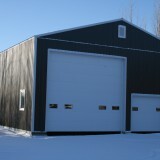 it has 1- 18’x 16′ and 1- 8’x 10′ insulated overhead door. 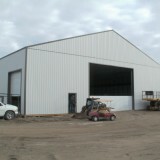 This building is a 80’x 152’x 20′ machinery storage Post Frame structure. The doors consist of a 50′ x 20′ Bi Fold on one end and a 40′ x 20′ Split Slider on the other end . Also comes with 2- 3′ walk in doors. This building is a 75′ x 200′ x 20′ Post Frame structure used as a potato storage facility. The building is fully insulated and lined.